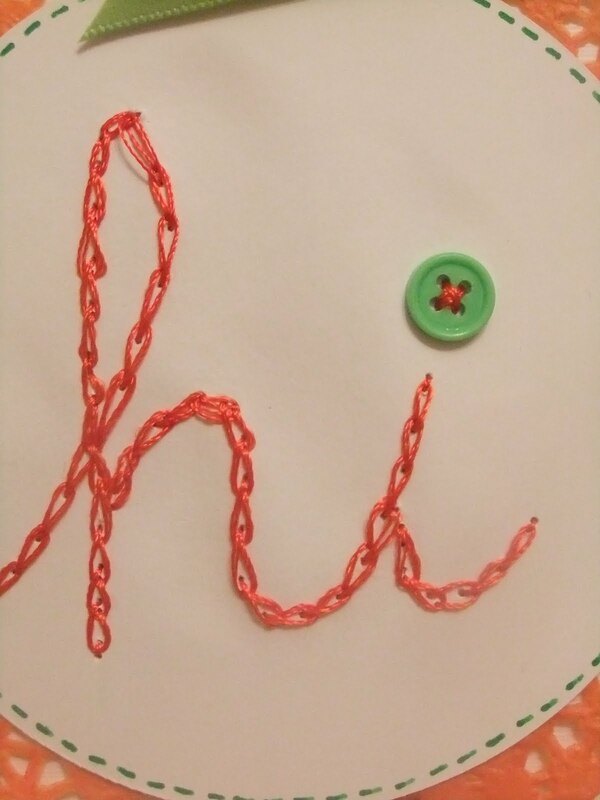 This is my second hand stitched 'hi'. First one is tucked away in some scraps. I used chain stich to stich and then stiched this cute little green button on 'i'. I think this is also the first time that I have ever used a button my my card. I love buttons and ribbons but rarely use them. This Christmas I splurged on craft goodies which I bought from newly opened Hobby craft store. 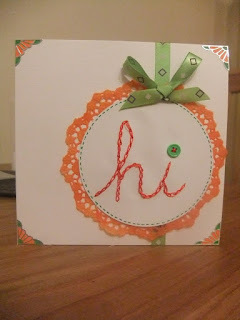 For this card, I learned how to make a bow from ribbon. 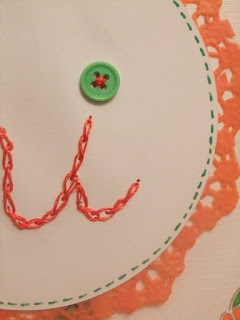 I did the faux stiching with green sharpie around the circle edges.I am entering the card for the following challenges: That craft place : buttons and bows Fab and Funky : Something new....... I got a pack of new buttons. Scrap-Creations: Some thing old something new. Just lovely, what a lovely take on That Craft Place buttons and bows challenge. lovely card, good luck with challenges!!! Beautiful card, great stitching. Thanks for joining our challenge at Fab ‘n’ Funky this week. Happy New Year. Lovely card, I can't believe you stitched it, it gives me an idea!!! Well done. Thank you for joining us at Fab 'n' Funky this week an the best of luck. Thanks every one for your lovely comments.